The very best quality potatoes, sourced for their superior taste and distinctive crunch, are cut into thicker slices and hand cooked in a kettle right here in Dubai. This flavour is such a classic and everyone’s all time favourite! 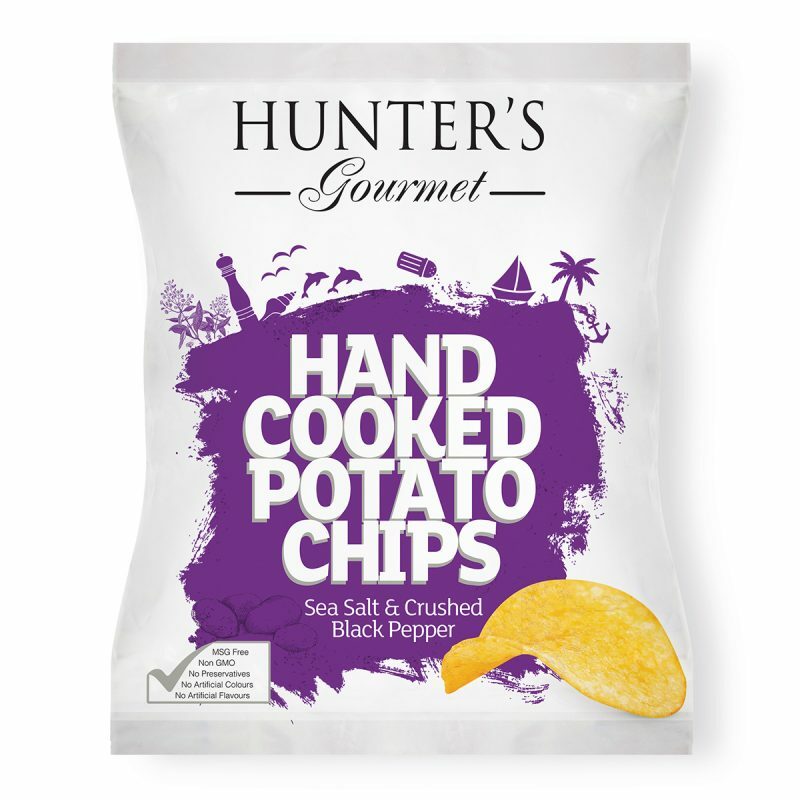 The chips are delicately seasoned, with a perfect blend of the savoury sea salt and rounded freshly crushed black pepper taste coming to you bite after bite. They are vegan, MSG free and all natural. 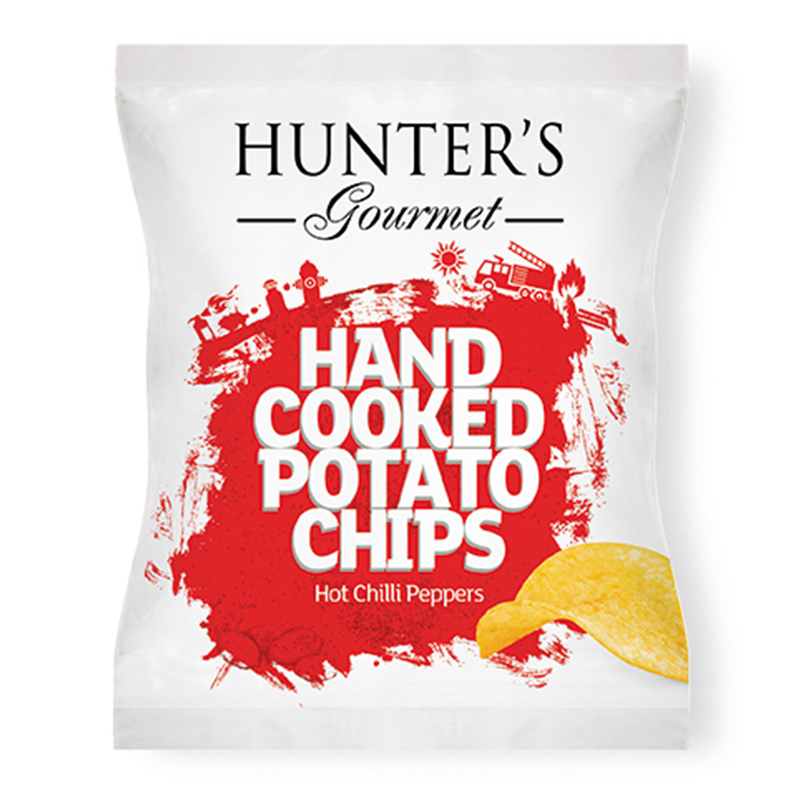 Right afterwards, the chips are packed in our world-class, foil-lined pouches straight away. We definitely do our best to ensure that they reach you in all of their just-cooked, delicious glory. 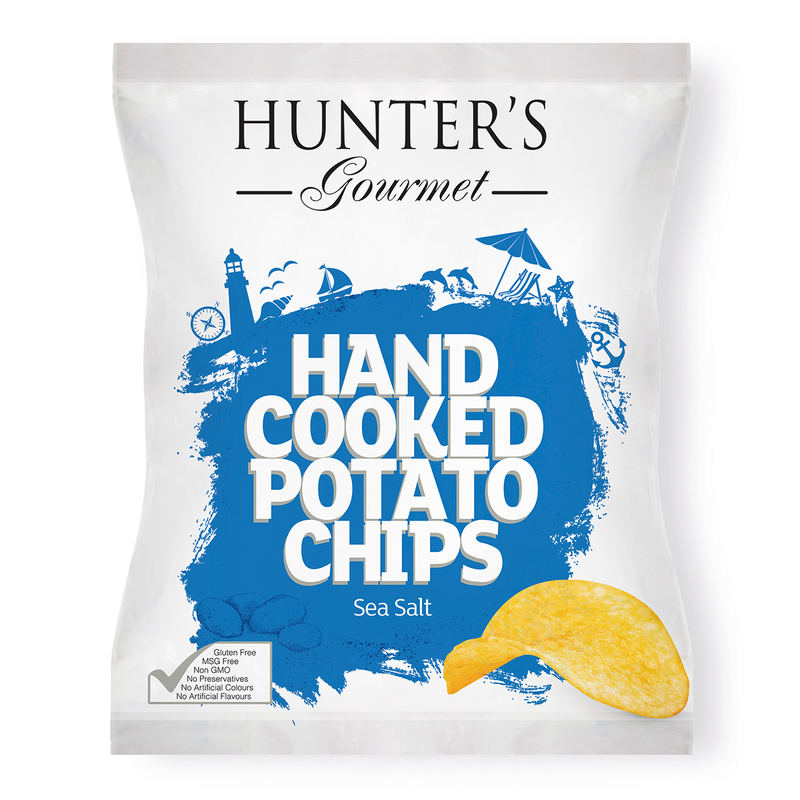 Hunter’s Gourmet Hand Cooked Potato Chips – Sea Salt & Crushed Black Pepper (125gm) 125gm Packet. Potato Chips, MSG Free, Non GMO, No Preservatives, No Artificial Flavours, No Artificial Colours, Vegan, No Transfat, No Cholesterol, Halal. Potatoes, palm olein oil, sea salt & crushed black pepper flavour: (wheat flour, potato starch, sea salt, crushed black pepper, yeast extract, sugar, citric acid E330). Those are seriously moreish crisps! chips are the most favorite snacks of my kids .. but all the time i am little bit concerned about the health of my kids too.. and this chips are in my satisfaction… because this is so healthy, hygienic and tasty as well… so i highly recommend this one…..